Music :::: As the music industry produces new artistes everyday with different inventions. Hashim zamah nah blends with the new trend of music so as to follow the que. 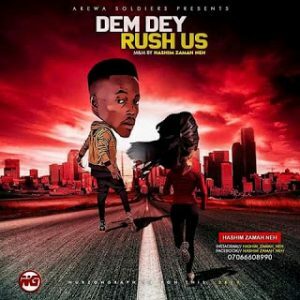 “Dem dey Rush us ” is a danceable song which showcase the new style of dance “zanku dance” & shaku shaku”. Not with standing, just click on the link below to download the song.